This amazing book providing the necessary background for understanding the present situation in Ukraine should be in everyone's reading library. 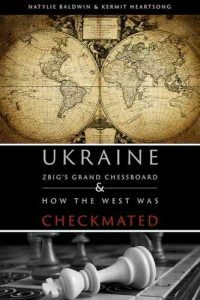 A quick review of Ukraine, Zbig’s Grand Chessboard: How the West Was Checkmated is simple—this amazing work should be in everyone’s reading library. Anyone who cares to understand the situation of what has happened and is happening in Ukraine needs to read this book. It covers the history of the dissolution of the USSR, the resulting creation of Ukraine, and the history of the U.S.’s attempts through various government and non-government organizations (e.g., George Soros-funded) towards the first failed color revolution (Orange, 2004), then on towards the second attempt resulting in the successful installation of the neo-nazi puppet regime of Poroshenko/Yatsenuk. Beyond that, it has deeper implications for all global U.S. imperial adventures and the manner in which they are arranged and delivered. The chaos that ensues serves the purpose of stabilizing the US petrodollar hegemony as the global reserve currency. This latter point is presented at the end of this work, and is notable as it is the first time I have read of that connection so clearly presented within a book oriented towards what is normally considered an historical and/or current events perspective of U.S. imperial affairs. After the more historical items are described and placed into context (context is lacking in many current attempts to validate the depredations of the U.S. empire) the current events surrounding Ukraine and the manipulations which led to the Maidan and the success of the neo-nazi coup are described within the full context of U.S. interests and activities. What becomes obvious from the author’s research is that the U.S. finally met up with a government, and a personality, Vladimir Putin, that had strengthened Russia. Another strengthening factor, ironically, have been the U.S.’s attempts to isolate Russia, one of the most unsuccessful foreign policies attempted by the U.S. Certainly the puppets of the EU/NATO have fallen into line, sort of, and U.S. Anglo-allies Canada and Australia, but the majority of the world has been able to see the U.S. for what it is—a narcissistic, power hungry, and violent country. 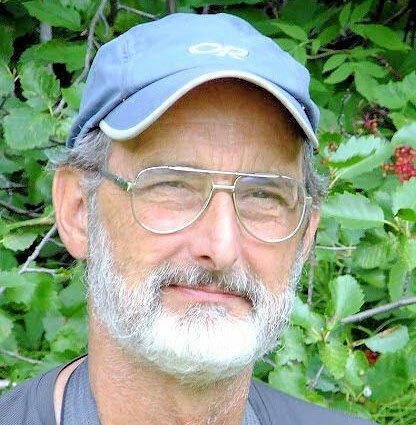 As noted by the authors, the media plays a significant role in the domestic ignorance and demonization of Vladimir Putin—creating the requisite ‘evil other’ for the controlling powers to distract the masses from the reality of U.S. intentions for global hegemony manner of overt and covert military power combined with economic manipulations through the institutions of the Washington consensus (IMF, World Bank, WTO, BIS, et al). The book went to press in 2015, as the second attack by Ukraine against the breakaway regions of Donetsk and Luhansk commenced. The results of the second round proved even more disastrous for Poroshenko/Yatsenyuk as they suffered a strong military defeat within the Debaltsevo cauldron, leading the U.S.’s European puppet leaders, Hollande and Merkel, to cry ‘uncle’ and create the Minsk II agreements. What I find even more significant is the generalizations that can be made from this narrower historical story to the many violent actions created by the U.S. since the end of WWII. Ukraine is not an isolated event, but is one in a long succession of attacks, overthrows, coups, and jihads created, made, and managed by the U.S’ political-military establishment. The parallel war in Syria is part and parcel of the overall chessboard—it is fortunate that Putin and his advisors have successfully stopped the incursions of ISIS, al-Qaeda, al-Nusra and the many disparate bands of jihadis supported by the U.S. directly, covertly, and through their Saudi/Qatari allies. The best ending for all this is for the U.S. to accept the multipolar world, perhaps not within its domestic hubris and arrogance as the ‘indispensable’ nation, but through a less militaristic approach to world affairs, and perhaps, not be left behind while the rest of the world overcomes the chaos—military and financial—created by the empire. The worst ending would be the empire recognizing that it is checkmated, and simply knocking the chessboard over—the nuclear option. No one anywhere wins with that option, but the megalomania and ignorance of the neoconservative/Wall street alliance might simply be unaware of the consequences of initiating a third world war. To understand this more comprehensively, Ukraine, Zbig’s Grand Chessboard: How the West Was Checkmated is an excellent source. The arguments presented are well supported and concisely described and, through the lense of the Ukraine debacle, effectively demonstrate the intransigence of U.S. geopolitical efforts around the world. This book must be added to all contemporary reading lists for global current affairs.